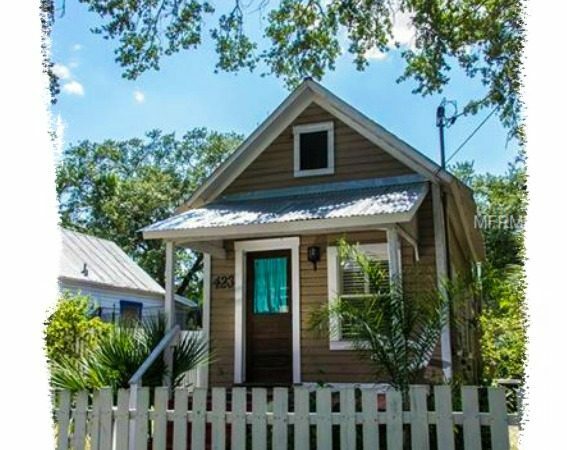 Tiny Bungalow house is a little acorn of a home nestled in Hyde Park North, one of Florida’s oldest neighborhoods. 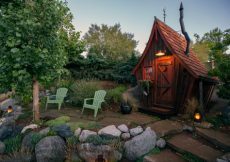 Fun little nut-size of a house is only 388 square feet. 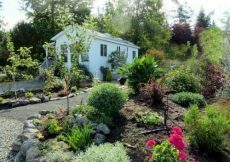 This tiny Bungalow house is completely renovated and waiting for a new owner. 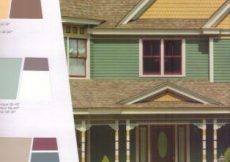 A whopping $199,999 asking price since this neighborhood is up and coming! Perfect place for a single gal or guy to make a nest. Not crammed into an apartment, condo, or townhouse. 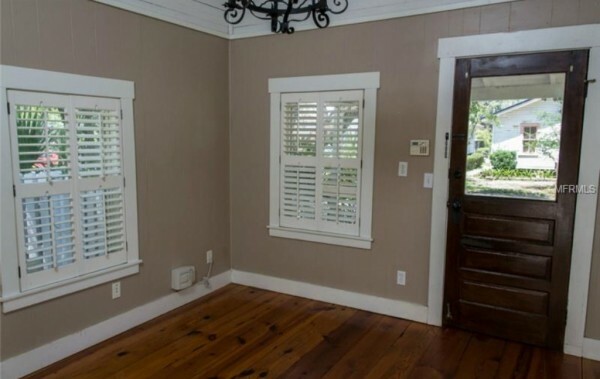 Tin roof, white picket fenced yard, and a porch to perch upon. I’m not saying she is priced just right or selling her. 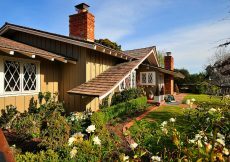 My head turns and does a double-take when I see a tiny Bungalow, that’s all. 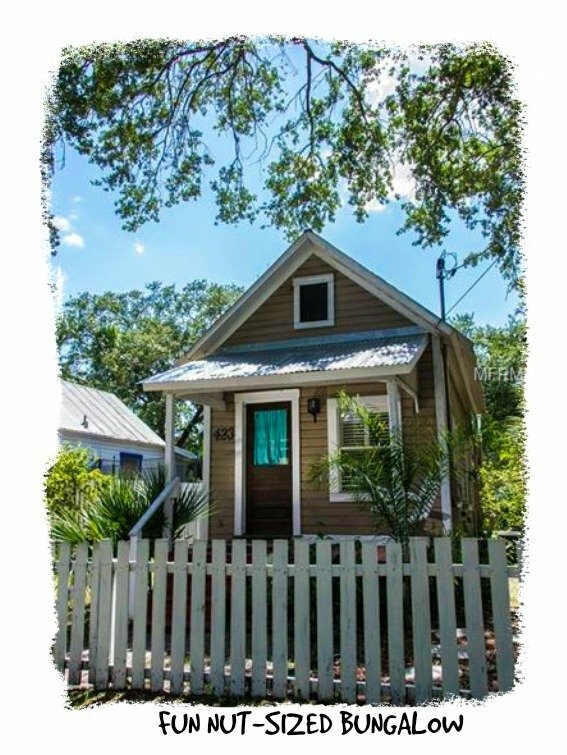 Kind of like a shotgun house, but you can’t shoot straight through. She is not the best looking girl I’ve dragged home to the blog, but we have to see her because she is wittle. She is tiny and waiting for someone to love her. What do you want to do? I want to give the fence a fresh coat of white, hang a wreath, and add a chair. Would you leave her this color or paint a different color? She has mad potential. Out of the ordinary wide plank heart pine wood floors much to my surprise. 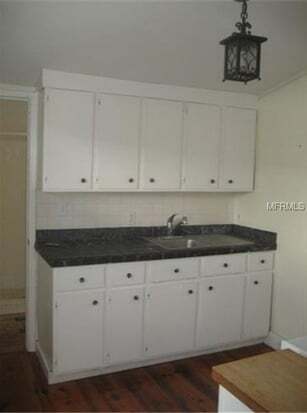 Nut-sized white kitchen to doll up or fill with bachelor pad essentials. There is one bedroom and bathroom. 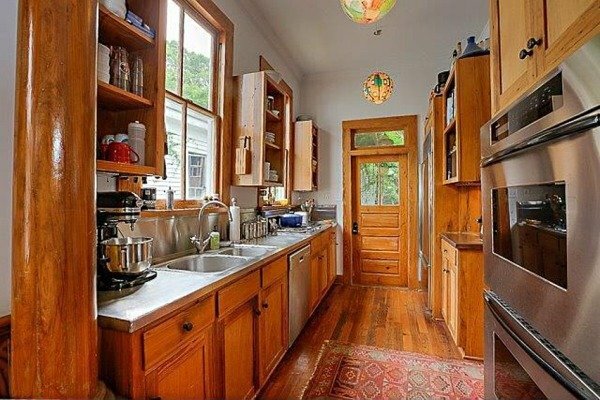 Somehow they even squeezed a laundry room into this 388 sq foot tiny Bungalow house. That’s it for today. Short post for a small cute house. I have to say this and get it out of my system though. Sometimes you feel like a nut, sometimes you don’t. Visit all the tiny houses here too. Very cute- I think with something that small, it would be fun to make it into a little jewel box with color and special details. 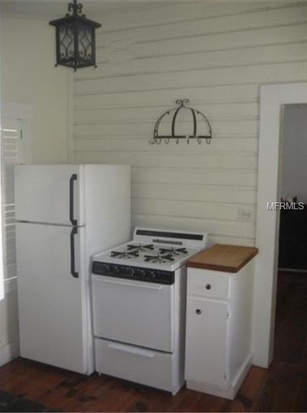 Those floors are gorgeous, but the kitchen needs help. Some pops of color in the kitchen for sure would be fun. I’m thinking some purple! 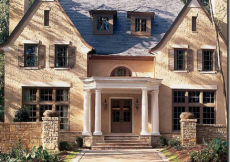 I just love seeing the houses you post. Your commentary is awesome on them. If I ever decide to move I’m letting you know to help me find a home. Thank you for such a wonderful comment Shannon. You actually just made my day. It’s cute for sure! I think all of my stuff in my office alone would fill that house lol. Shutup! 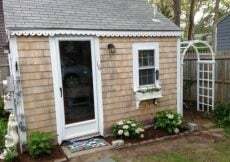 There is also a bathroom and bedroom in this cute nut sized house. You’re hysterical. lmao too funny! I tend to always get furniture that is way too big for the area so my hubby has me measure everything now! Sounds like me for sure.